It’s quite brave and honourable what Virgil Abloh is doing with Off-White. The Chicago-born creative director turned fashion designer uses his collections in ways dissimilar to his contemporaries. Most designers are preoccupied with a perfect exacting of their vision—Abloh is to an extent, with styling tricks—but there is a deeper sense of understanding of the design process at Off-White. One gathers that Abloh is comfortable with presenting ideas that may be a little off, a little confused or jarring in the context of the other clothes in the show. His trial and error methodology unfurls season after season and it’s this unabashed experimentalism that earns him the titles such as ‘brave’ and ‘honourable’. His recent collection was an exhibition of his education as a fashion designer. (Abloh’s background is in civil engineering and architecture, before entering the respective art direction and DJ fields.) Firstly, he played wanted to play with continuation. The spindly birch trees that dotted his menswear show in January were back; this time the lighting was more complementary, warmer. Secondly, he emphasised the glamourised ode to the street found in last season’s womenswear outing. 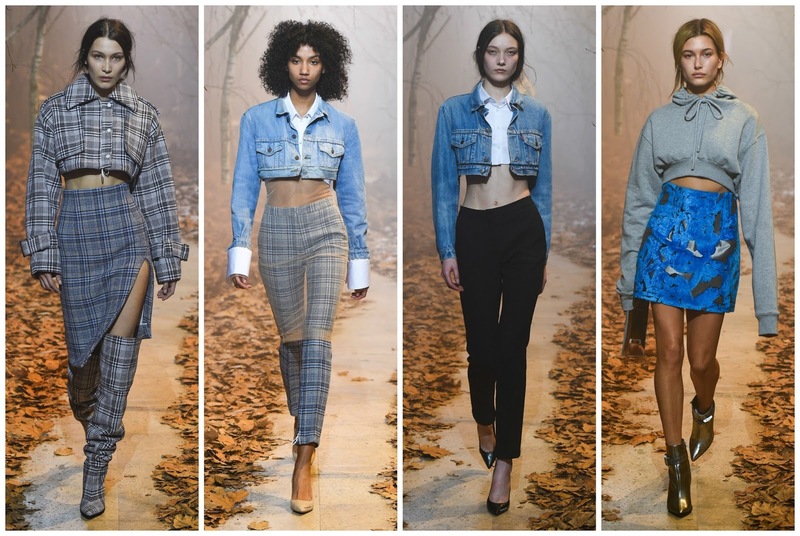 There were cropped denim jackets styled with sharp pencil trousers—it was Hadid/Jenner-inspired undoubtedly, and the models looked gorgeous. Moreover, he reintroduced the slinky silks from last season, contrasting them with lace yolk; he propositioned the ruffles from the previous womenswear in delicate chiffon, and in hues such as electric blue. One of my only complaints from last season was the sloppiness of the ruffled looks. This season they appeared in a blush-coloured tone. Not only was it unflattering on the model, the colour was particularly drab and didn’t do her beauty justice. Ditto the lace and silk combination, which felt a little passé. Tailoring and developing his technical skill were also on the agenda. The aforementioned trousers, namely, dominated the line-up. There was a patterned blue velvet blazer with metallic finishing, styled with thigh high boots. 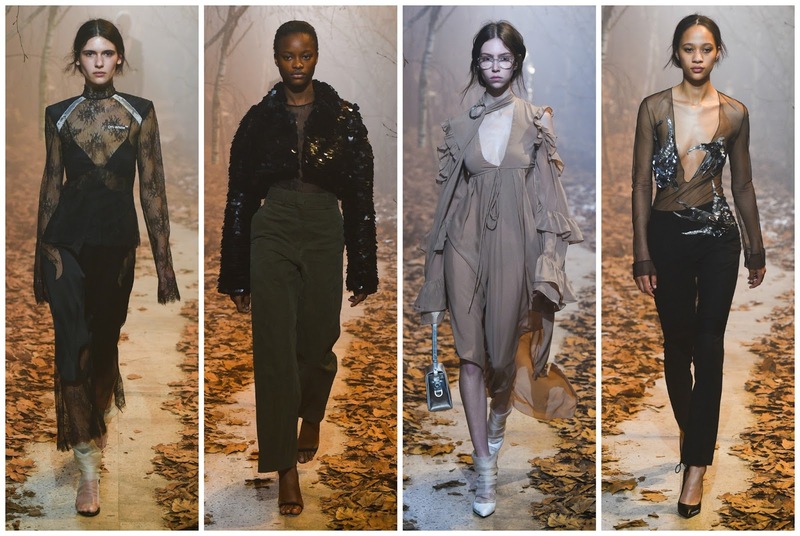 The opening looks consisted of neatly tailored, smartly styled checkered items: cropped jackets, large coats, slashed waist-high skirts and bandeaus. Nothing edged too closely to demure—there was a youthful cadence to the traditionally grown up pieces. The pattern came in two different colours and it was an unsuccessful pairing, but a lesson learned. If memorability is on the mind of Abloh then he struck gold with at least one look: the cropped denim jacket and crisp white shirt with black cigarette trousers and point-toe heels. It was a modernisation of the look we all know and love. In essence, it’s what Off-White is about: remixing the past to create a suitable look for the present. There’s no time like the present, they say.